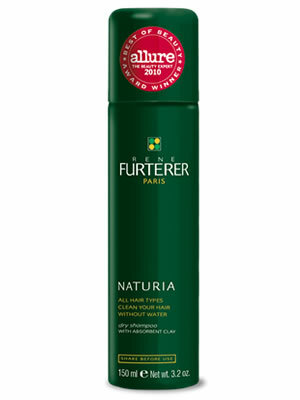 Rene Furterer Naturia Dry Shampoo is a time-saving dry shampoo that is a stylist's secret weapon and a celebrity favorite. It instantly cleans hair without water to refresh and restore volume between regular shampoos. It absorbs excess oil, impurities and environmental odors so hair is lightly scented and full of bounce. Perfect for the gym bag, long flights, or the office drawer, this dry shampoo absorbs oil and other impurities in minutes leaving hair light and voluminous, without using water. It leaves hair lightly scented and refreshed while extending the life of regular shampoos. Use anywhere, anytime.